Fig Tree Books LLC, 9781941493229, 368pp. 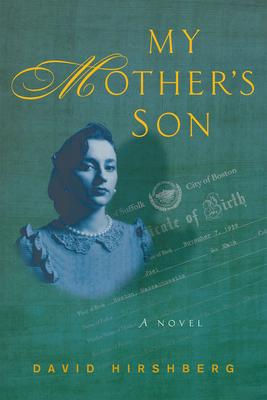 My Mother's Son, the meticulously-crafted debut novel from David Hirshberg, is a story told by a radio raconteur revisiting his past in post-World War II Boston, the playground and battleground for two brothers whose lives are transformed by discoveries they never could have imagined. From the opening line of the book, "When you're a kid, they don't always tell you the truth," the stage is set for this riveting coming-of-age story that plays out against the backdrop of the Korean War, the aftermath of the Holocaust, the polio epidemic, the relocation of a baseball team, and the shenanigans of politicians and businessmen. Hirshberg deftly weaves together events, characters, and clues and creates a rich tapestry of betrayal, persecution, death, loyalty, and unconditional love that resonates with today's America.